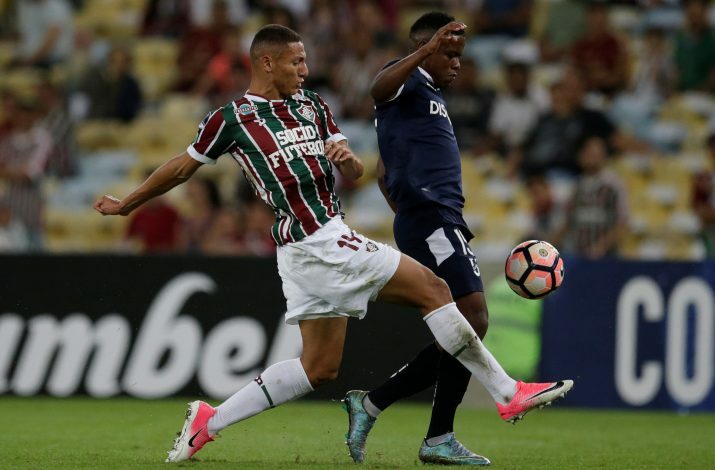 European heavyweights AC Milan and Man United are reportedly interested in signing Brazilian striker Richarlison from Fluminense this summer. The Serie A side has already signed 10 players this summer, and its officials have now made contact with the player’s entourage to sign him. Jose Mourinho is also interested in adding the youngster to his squad, after having already spent more than a £100m on Victor Lindelof and Romelu Lukaku. It was reported by Calciomercato.com that both the clubs have been scouting the 20-year-old, and are said to be keen to bring in the classic centre-forward, who can also play as attacking winger. However, Fluminense have put a price tag of €20m on their star player, which might seem too much, considering they bought him for around £2m in January last year. Another Serie A side in the form of Roma had also tried to sign Richarlison a few months ago, in an unsuccessful player-plus-cash swap deal.